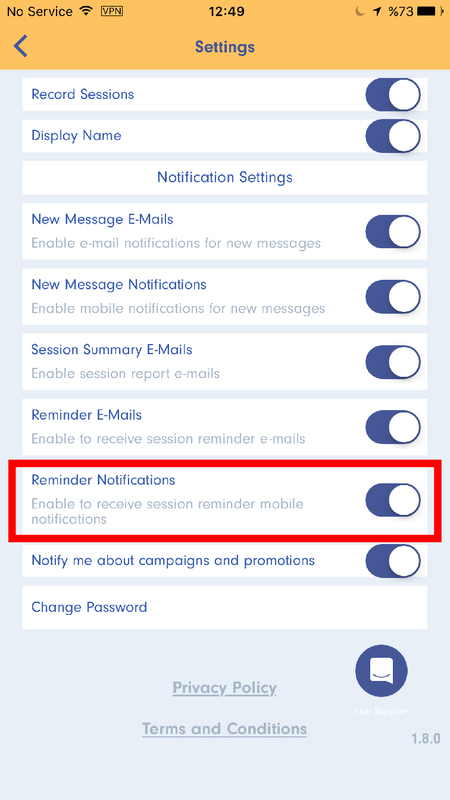 Mobile - How can I turn-on / turn-off "Reminder Notifications" for sessions? 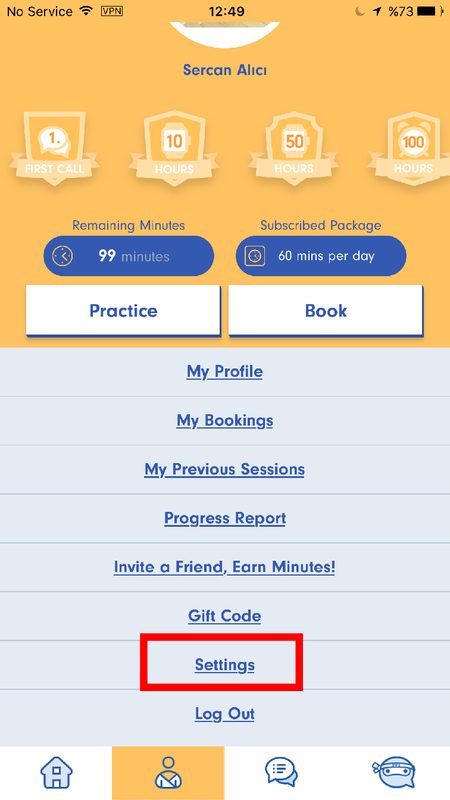 English Ninjas provides reminder feature for sessions. It is recommended to turn-on this option to increase your usage. If you want to get push notifications for remind you to make a session you have to open "Reminder Notifications" option.